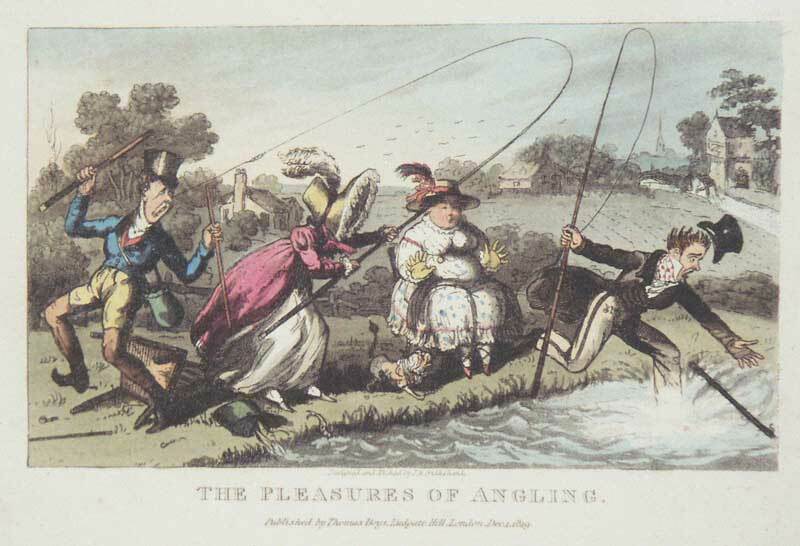 These amusing caricatures depict temper getting the better of two gentlemen playing a heated game of draughts and an over enthusiastic angler toppling off the bank and into the river. 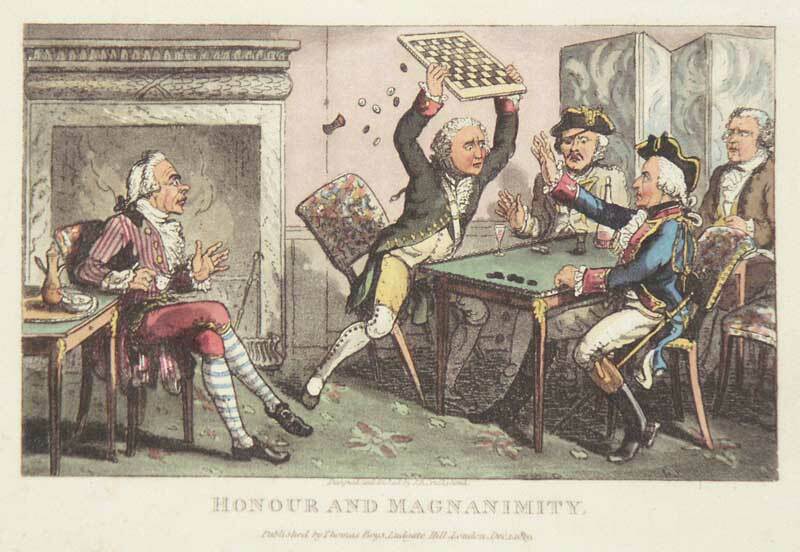 Isaac Robert Cruikshank was the brother of fellow caricaturist, George Cruikshank. They formed something of an artistic dynasty with their Scottish genre painter, Isaac Cruikshank (senior).